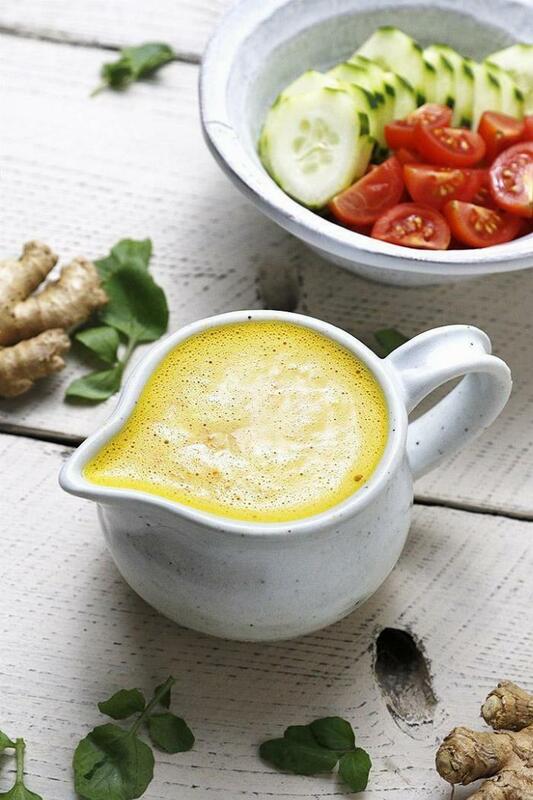 A healthy, homemade salad dressing made with carrots, ginger and freshly-squeezed orange juice! Filled with citrus and Asian-inspired flavors! 1Chop peeled carrots and ginger, and juice the oranges. Add ingredients to food processor. 2Measure the rest of listed ingredients in food processor and blend until pureed. Dressing will remain chunky, but there shouldn't be large pieces. 3Pour over salad, and store remaining dressing up to 5 days in the fridge.